A reflective essay is a type of writing whereby a writer gives details on personal experience about something and relates to the reader through writing. This experience involves personal ideas, opinions and feelings about that situation, and how it affected the writer. A reflective essay is self-centered. This means that a writer is supposed to speak from the first point of view while talking about the experience. The text should be written in the first person because a reflective essay is more subjective to the writer and thus the events ought to have occurred in their lives in one way or another. It is important for you to apply your senses due to the fact that you have to explain what you had seen before, what you’ve heard and what you have read about the topic being discussed. Create a link between your writing, yourself and the surrounding. You have to explain to your readers how the three aspects are interlinked. Identify the key themes – You ought to write down the key themes on the subject that you’re going to write on. Your points can be written in the form of topic sentences so that they can be concise and straight to the point. Reflect your topic with a material that you have in your mind – This kind of essay deals with a comparison of two ordeals that are alike. Therefore, you have to come up with material that reflects on the topic that you’re going to discuss. In this segment, you ought to think about your personal experiences that go hand in hand with what you’re discussing in your essay. Come up with a table – Your points and experience can be classified in tabular form. In the first segment, state the key points in a row or column depending on what you prefer. In the next section, ensure that you include your beliefs, emotions, and feelings. Cultural influences can also be included in this section. In the third and final section, you ought to provide your responses about how your culture, emotions, and beliefs have an effect on the whole situation. Are you challenged emotionally, physically or socially by your experience? How does the situation influence your thinking? For those involved in the experience, was there anything left out for them? If the answer is yes, state it as your response. In addition, you’ll have to reveal how the events connect with your experience. This will bring out the reflection aspect in your reflection essay sample, thus achieving its objective. How you organize your essay depends on the outline. Like all other types of essays, the outline of a reflective paper consists of the introduction, body, and conclusion. Look for some reflective essay samples on any topic and you’ll find this structure in each one! Introduction – It ought to be a concise description (background story) about the topic that you’re going to discuss. Hook your reader through the description. The introduction should attract the reader to the rest of the essay. Body – This is the main section of your essay. In this section, you are required to bring out your ideas. Topic sentences should be used to introduce your body paragraphs. Topic sentences introduce the idea to your reader. Conclusion – Whenever you want to begin your conclusion, make use of transition words for a conclusion, for example, a word like finally. Your reader will know that you are coming to the end of your essay. Do not repeat your ideas. Avoid using slang. Use correct spelling and grammar. Do not include anything personal that you feel uncomfortable with. 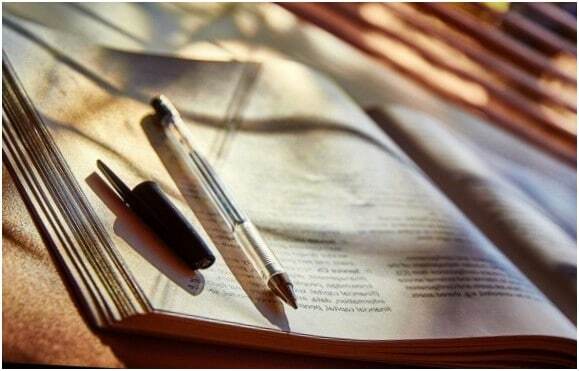 Now that you have an idea of how to write such an essay, below are some reflective essay to give you ideas. Remember that you should never plagiarize any reflective essay sample that you come across! I know that you’ve been told several times to go somewhere else in order to change your environment and meet new people whenever you find yourself in a challenging situation. Different people have told me this several times. Such advice can be infuriating. Instead of receiving some kind of assistance or even compassion, someone has the audacity to tell you, ‘you should travel.’ Nonetheless, this is one of the most valuable pieces of advice you can receive from someone. One thing to note is that you cannot leave everything behind and go tour the world. We all have our duties, responsibilities, and other kinds of ties that will bind you to that one place. Nevertheless, whenever you are told to travel, it does not necessarily mean something like going to Thailand for instance, living in a certain village and adopting their ways of life, or whatever else comes to the minds of individuals whenever they think about traveling. Indeed, small, frequent travels can bring about positive effects on your mental condition, and will enhance your capability to deal with challenges. A big segment of our everyday problems remains in the context in which the problems first occurred, and therefore, you dwell on them regularly. Whenever you’re stressed, your thoughts tend to be negative. Therefore, you’ll be viewing your life situation from a pessimistic viewpoint, assuming the worst case scenarios, etc. Nonetheless, when you fly or to another country or even drive to another state, you feel your troubles disappear gradually. Getting yourself out of the environment that reminds you of your problems can be therapeutic. I’m not implying that escaping your problems is the easiest way to feeling better. What I mean is that taking a break can provide you with a new outlook, or at least distract your mind for a while. Whenever you travel, you learn to live in the moment. You might feel the moment as you view the wildebeest migration in the Maasai Mara, or you might also feel the moment when you go visit the Statue of Liberty. Every new experience is like an entry to the present moment. Who knows, this moment is what will assist you to recover from all the stress. Furthermore, whenever you’re traveling, you’ll have to learn to improvise and adapt to new situations. For example, your belongings might be stolen, or you’ll be in a situation where the plan of your trip does not work since you were not aware of the challenges you would face in a new country or state. Any new travel is a fresh set of circumstances and situations, and thus you need to adapt. Eventually, you’ll get to acquire new skills – adaptation and improvisation. To conclude, traveling will not take away your pain, for instance, if you have lost a loved one, declared bankrupt, among other reasons. Your problems won’t be magically dissolved. When you come back home, they’ll still be there. However, traveling will teach you that you’re not alone. Many people worldwide suffer and rejoice the same way you do. It will also teach you that these people also face problems, and they struggle and overcome them, just like you. You’ll learn to enjoy the beauty of moments. You’ll become more adaptive and flexible. You’ll also learn to improvise. All these will assist you to recover from your mental wounds and do away with stress. According to me, it’s worth the time. Teamwork simply means people collaborating to accomplish a certain goal. It is frequently made use of to solve a particular task. However, there are two sides to teamwork. On one side, teamwork is usually glorified. On the other hand, it is termed as insignificant or unimportant. Although the familiar saying ‘two hands are better than one’ might be true in most cases, it appears that there are situations when this saying isn’t truthful. Teamwork has been crucial in many activities for most of my life. I enjoy basketball, soccer, education, my work, among others. When I was a basketball player, I felt that every position on the court was crucial. I was the shooting guard for my high school team. Besides enjoying playing defense, I was a good three point shooter (I believe I still am). Nevertheless, what I enjoyed the most is being part of a team and contributing to that team in my own way. Even now that I’m a writer, I have people whom I go to for proofreading purposes and also get another opinion on something. Companies work in team environments in order to complete various project. Different countries cooperate when it comes to things like trade, fighting extremism, and many others. The list is endless. The world also works within team environments to accomplish certain goals. All this relates to the appreciation of extroverts as compared to introverts. Generally, people are termed as strange if they don’t enjoy interacting with other people on various projects. This is unfortunate because people are different, and each person ought to be allowed to decide whether or not he/she wishes to communicate in this way without being called names. I was once an introvert and was also a bit shy. I would lock myself in my room and listen to music, and if I felt like it, I would write. I was probably this way because I liked being in my own space, I didn’t have many friends, and I was depressed. Most people that I interacted with saw me as an odd person because of how I conducted myself. However, at that point in time, that was my personality – I didn’t see any reason as to why someone would look down on me. Later on, my personality changed and I became an extrovert. Coming out of my depression was a natural process. I befriended many people and began living in a communal environment. My personality was reshaped. Nowadays, I consider myself as a balance between an introvert and an extrovert. This means that it will reach a time when I want to be part of a team and another time I want to work alone. Do you think that any person should be compelled to be involved in teamwork? In my view, it’s not right. If you think that you’ll work effectively alone, then your friend, colleague, or superior ought to appreciate that and not look down on you. There you have it. Follow this guide and you’ll be writing an impressive reflective essay in no time. Whenever stuck, read at least one reflective essay example to get you out that block. Good luck!